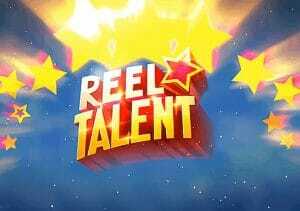 Join the animal equivalent of Simon Cowell in Reel Talent, a 5 reel, 20 payline video slot from Just For The Win and Microgaming. This talent show features lions, rabbits, wolves and crocs and comes with re-spins and Superspins where just 1, 2 or 3 symbols appear on the reels. Stakes in this high variance game range from between 10p and £100 per spin. The design here is nicely done. The reels are set against a stage backdrop. There you’ll find playing cards, guitars, flaming torches and microphones. More lucrative are the 4 animals stars. There’s a rabbit magician, a guitar-strumming wolf, a flame-eating crocodile and a crooning lion. Most lucrative is the Reel Talent logo. Land 3, 4 or 5 of these on a line and you’ll pocket a payout of 1.5, 10 or 50 times your total bet. Look out too for the wild. After every winning spin, the symbol from the successful combination is collected in the Symbol Storage meter to the side of the reels. If you fill the meter, you’ll go through to the Superspin feature. If not, you’ll be awarded a re-spin and another opportunity to do so. The Superspin you are awarded depends on the number of different symbols in the Symbol Storage Meter. Showtime – This is awarded if you have 3 different symbols. Big Stage – This is awarded if the meter contains 2 different symbols. Solo Performance – You’ll get this if the meter contains 3 of the same symbol. You’ll then play your Superspin. If awarded Showtime, the reels will be made up of just 3 symbols. In the Big Stage Superspin you’ll see just 2 different symbols. In the Solo Performance, just one. For example, if you landed 2 winners made up of rabbits and 1 made up of the lion in the base game you’d be awarded the Big Stage. During that Superspin, only rabbits and lions would appear on the reels. The limited number of symbols means there are chances to land big clusters of matching symbols. The gameplay here is simple but the Superspin offers plenty of potential. This is a high variance game though so expect some lengthy winless runs. There’s the chance to win big on a single spin though. When we read about a video slot based on an animal talent show we weren’t exactly filled with glee. Reel Talent proved a pleasant surprise though and gets a yes from this jury. Just For The Win and Microgaming have produced quite a few games together now with Amazing Aztecs one of their better ones.